A couple weeks back, AMD flew us out to San Francisco for a briefing on their upcoming Mobile Kaveri APUs. Along with the briefing, we were given some time to run benchmarks on a prototype Kaveri laptop, though I'll note up front that the laptop isn't intended for retail and is merely a demonstration of performance potential. 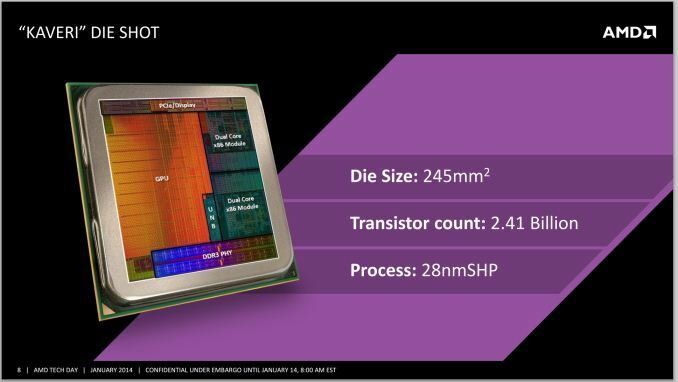 A funny thing happened about a week after the briefing, which some of you likely saw: AMD's web team accidentally posted all of the specs for the upcoming mobile Kaveri APUs ahead of schedule (for about half a day). We removed our coverage of the Mobile Kaveri APUs when AMD corrected the error, but we might as well jump right into things with the overview of the new mobile APUs. 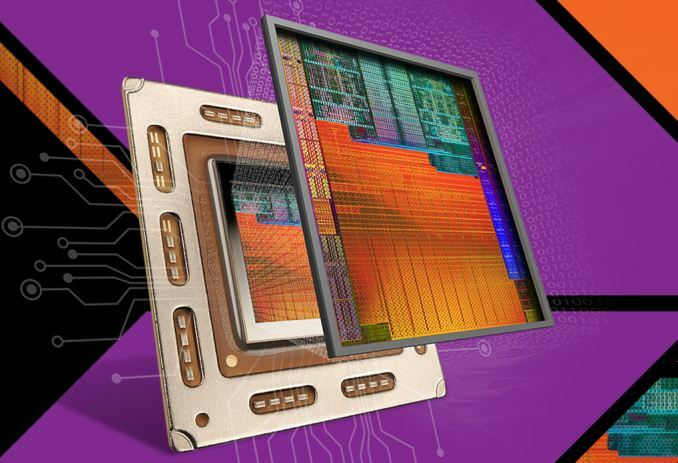 Kaveri is AMD’s latest generation high-performance APU, and appeared first released on the desktop back in January of this year. We were a bit surprised – perhaps even perplexed – about the desktop first launch, considering AMD's "we're not going after the highest performance CPU market" stance. Then again, AMD-equipped laptops haven't been as strong as Intel-equipped laptops – not that the APUs aren't fast enough, but getting OEM partners to make a compelling AMD laptop seems rather difficult. As the saying goes, "You can lead a horse to water but you can't make him drink." AMD has provided a compelling APU and platform solution for a couple years, but the perception is that AMD platforms are budget platforms, so basically almost every corner gets cut. I'll have more to say on that later, but it's still a major concern in my book. Regardless, since the desktop Kaveri launch we have been eagerly awaiting the release of the mobile incarnation. The launch has been scheduled for H1 2014 for some time now, and with AMD able to offer significant GPU performance with their APUs coupled with the space benefits of an integrated GPU versus a discrete GPU, it should be an easy sell. Mobile of course is not without its challenges. Power use is paramount, and while AMD has always been able to meet the desired TDPs, there is often the matter of performance tradeoffs required to hit those TDPs. Mobile is also a highly contested market right now; Intel of course has their Bay Trail and Haswell parts, but we're now seeing tablets and ARM-based Chromebooks pushing into AMD territory. Despite the somewhat questionable decision to launch first on desktop – particularly odd given both Llano and Trinity launched more or less simultaneously on laptops and desktops – it's now time to pull the wrappings off Kaveri for the second time and see what AMD has created. We're now almost exactly a year after the launch of mobile Richland, which was really just a minor tweak of Trinity that launched about two years back. This is the first major architectural upgrade for AMD laptop APUs in two years, and expectations and hopes are high. Kaveri brings a number of improvements, including the higher performance Steamroller based CPU cores and modern GCN based GPUs. We've previously covered this material, so rather than rehash things on the mobile side I'll simply refer back to the desktop Kaveri launch information. (You can also view the full presentation deck in the above gallery if you're interested.) AMD's Kaveri will be going up against Intel’s existing Haswell products, and this is AMD’s best chance to claw back market share from the Haswell family. Of course AMD has other APUs as well – specifically, Beema/Mullins will target the ultra-low power and tablet markets – but those compete in an even lower price bracket and go up against Intel's Bay Trail offerings. For now, let's start with an overview of the new Mobile Kaveri APUs. "its not how much wattage it uses"